Following our evening in Venice, we ventured to Milan by way of a three-hour drive. 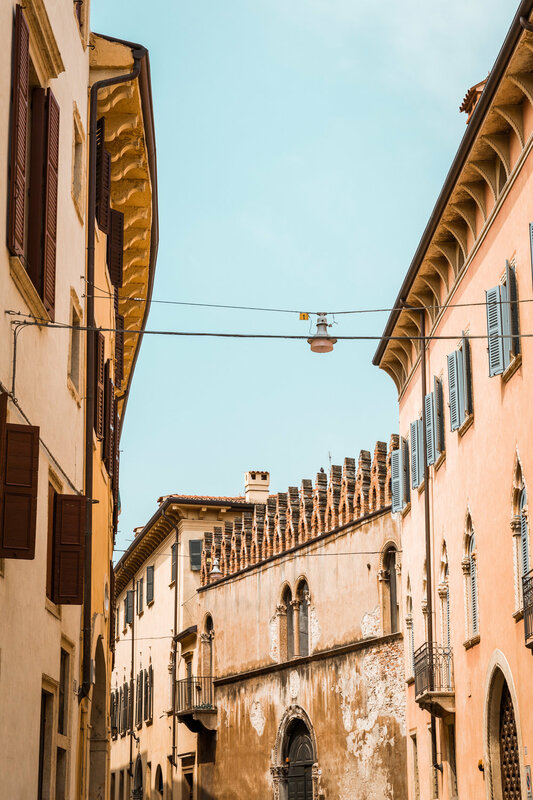 Aside from a preview into what conventional Italy might look alike along the highway, we were scheduled for a guided walking tour and lunch in the enjoyable, medieval city of Verona. Located along the Adige River – Italy’s second longest river in the northeast - Verona is a familiar and popular tourist destination for artistic heritage and culture. This romanticized city will ring a bell for many because of its famous association as the setting for Shakespeare’s Romeo and Juliet. 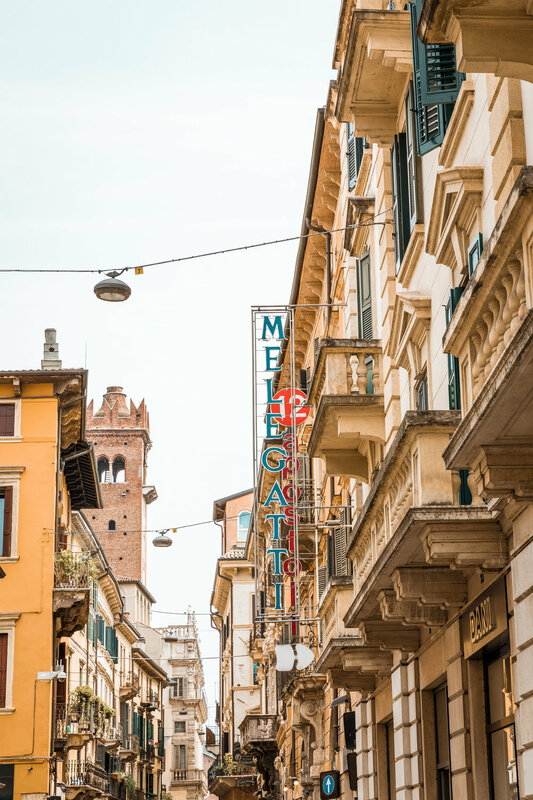 However, Verona is more than just words in his play – tourists can visit both the literal existence of Juliet’s balcony and the Capulet’s home (which is more of a museum these days). 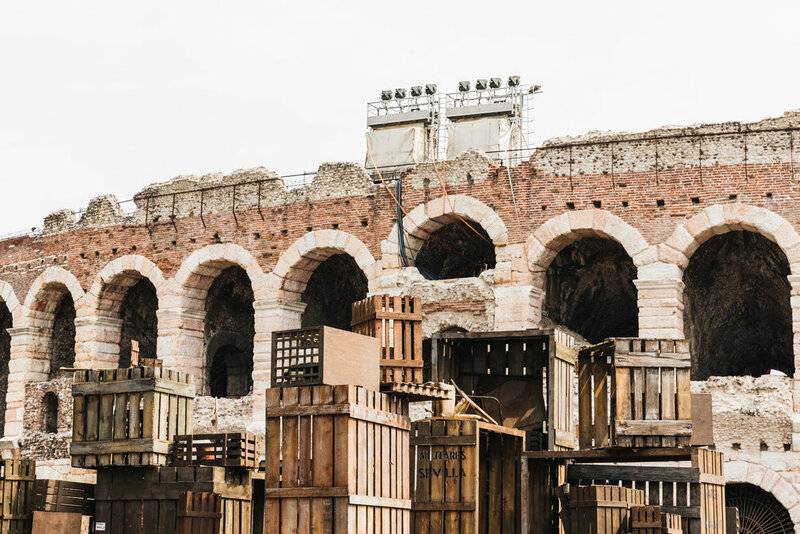 Interestingly enough, many critics argue that Shakespeare had never even visited Verona in his lifetime, so one must wonder what tourists are really paying to see! Within Piazza Bra, Verona’s city centre, is the cultural hub of the Arena di Verona. The Arena di Verona is Italy’s third largest, and the most well-preserved, coliseum. Dating back to 30 AD, the arena is still used today for annual festivals, fairs, operas, and concerts seating over 25,000 spectators. 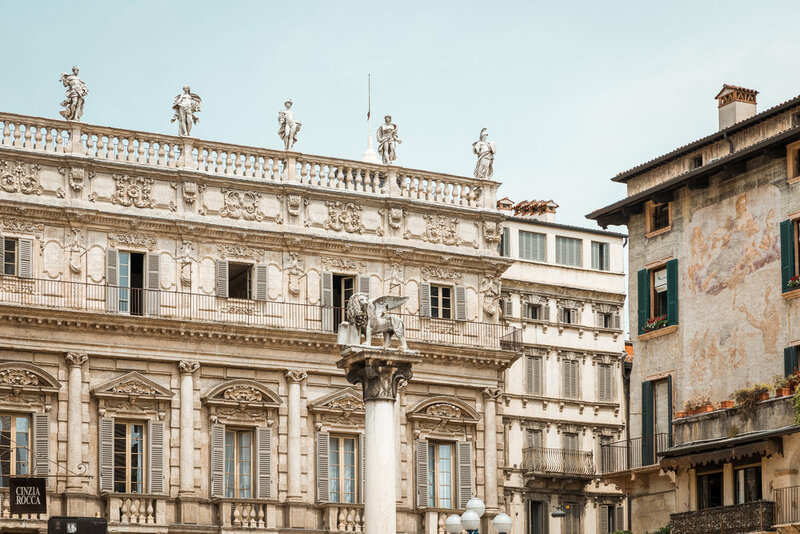 Many Ancient Roman monuments and edifices can be found throughout Verona, attesting to Verona’s historical importance to Italy. Ancient gates such as the Porta Borsari and Porta Leoni date back to 1 AD, the survival of their limestone arches to this day an impressive feat. In addition to the Roman artefacts, Verona is very much a city dominated by medieval architecture. The prosperous della Scala family who once ruled Verona preserved their legacy through erecting grand Gothic and Medieval works such as the Cimitero Isola della Scala, Castelvecchio, and Santa Maria Antica. Verona is a city rich in history, culture, and romance, and I highly recommend a visit if traveling through Northern Italy.